Post No Bills | Normative Signs: The Poetry of "Ought"
This one is an absolute classic. If there were a Hall of Fame for normative signs (*sigh*) this one would be among the first inductees. 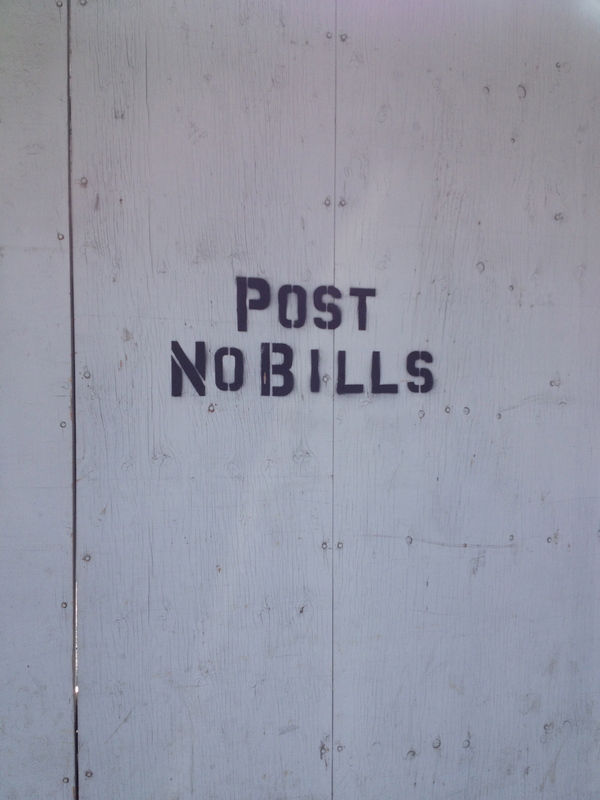 Nearly aphoristic in its terse simplicity, the phrase “post no bills” is part of our cultural lexicon. It’s in the Urban Dictionary, and — giving you a sense of how old the phrase is — it’s the title of a silent film from 1896. This photo was snapped at a construction site in Toronto. “Curb your dog” is another. I have never been sure exactly what that verb means. Fortunately, I don’t have a dog.